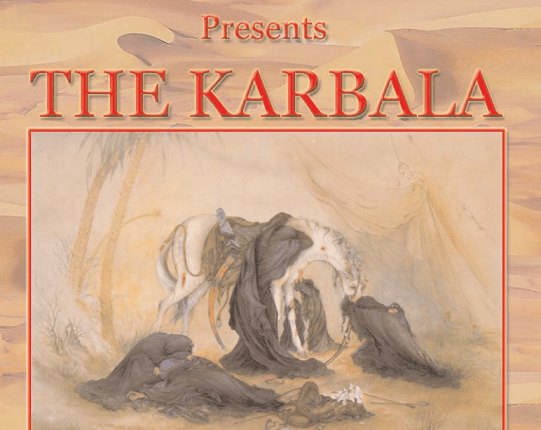 of Imam Hussain (the head of virtue) versus Yazid (the head of impiety). Imam Hussain (pbuh) was a revolutionary person, a righteous man, the religious authority, the Imam of Muslim Ummah (nation). fellow Muslims. On the other hand, the staying power of the rulers (Muawiya and his son Yazid) depended solely on the might of the sword. They used brute force to rule over the Muslim empire even by all possible illicit means. struggle in the way of Almighty God). Imam Hussain’s example has remained vividly alive for generations and centuries. His uprising, movement and ideals still have a deep impact on the conscience and awareness of the Muslim empire. The Holy Prophet (pbuh) is reported to have said: “The best of Jihad is that of a word of right spoken to an unjust ruler.” Imam Hussain (pbuh) witnessed the deteriorating political and social situation and clearly recognized that the general policy of the authorities did not abide with Islamic principles. He was aware of the Ummah’s numerous and painful afflictions, and was determined to exercise his religious duty, being the duly sanctioned leader & central figure capable of restoring Islamic values. Thus he rose. His revolt is rich in lessons and divinely inspired attitudes. Imam Hussain (pbuh) embodied the sacrifice of self, money, family, social status and the challenge to terror and cruelty. He patiently traversed hundreds of miles, moving both night and day. The epic protest he engendered came at the most critical political juncture. In fact, the Prophet’s grandson had vowed to sacrifice himself. marched across the desert. He himself was expecting all that, but did not budge an inch. An uprising led by the noblest and best accepted personality in the entire Ummah, is certainly one which is uniquely distinguished as a movement abounding with spiritual, moral and religious ideals. Due to the importance of this personality, we are honored to present this concise, well documented book to our readers. Hereunder are related the most outstanding incidents of the dynamic Hussaini movement, which stands unequalled in its greatness and fills pages upon pages of history. Such a sublime revolution has to be studied, dissected and fully understood. Lessons should be drawn from it. Here we note that the backward and downtrodden nations must one day follow in the footsteps of Imam Hussain (pbuh) if they are to challenge the despots. We beseech the Most High and Almighty God to make this volume of enduring benefit to our esteemed readers and to help us in disseminating benevolence and guidance. He is the Hearing and Answering.